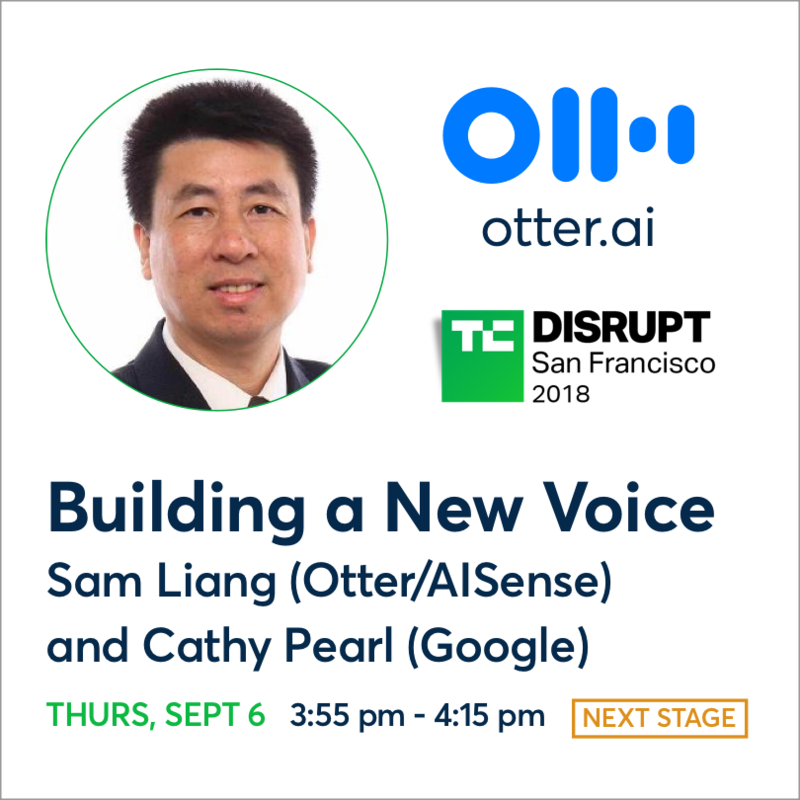 TechCrunch Disrupt selected Otter Voice Notes to deliver a new AI-enriched live event experience. Otter Live, a new feature, will multicast all sessions in the Main Stage to screens in the hall and to a TC Disrupt Public Group in Otter. The Public Group will comprise a searchable archive of voice notes from all stages including transcription, synchronized audio, and photos. 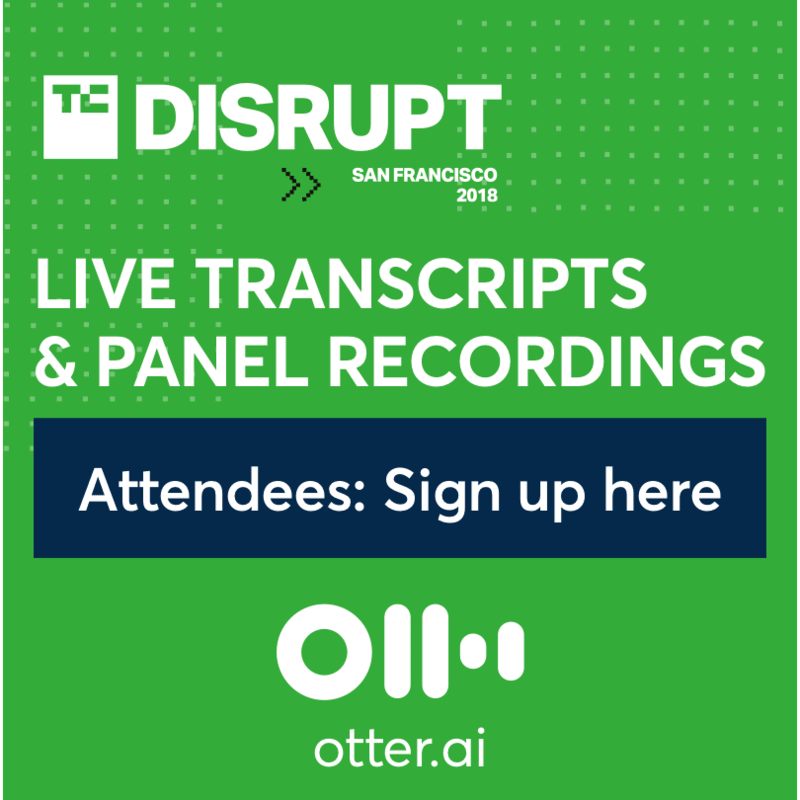 "We are impressed with Otter's transcription capabilities, which is why we are using it at Disrupt to help both our editors and attendees by providing accurate transcripts of the sessions on the main stage." Watch Otter Live. Demo at booth #W. Hear our CEO talk. 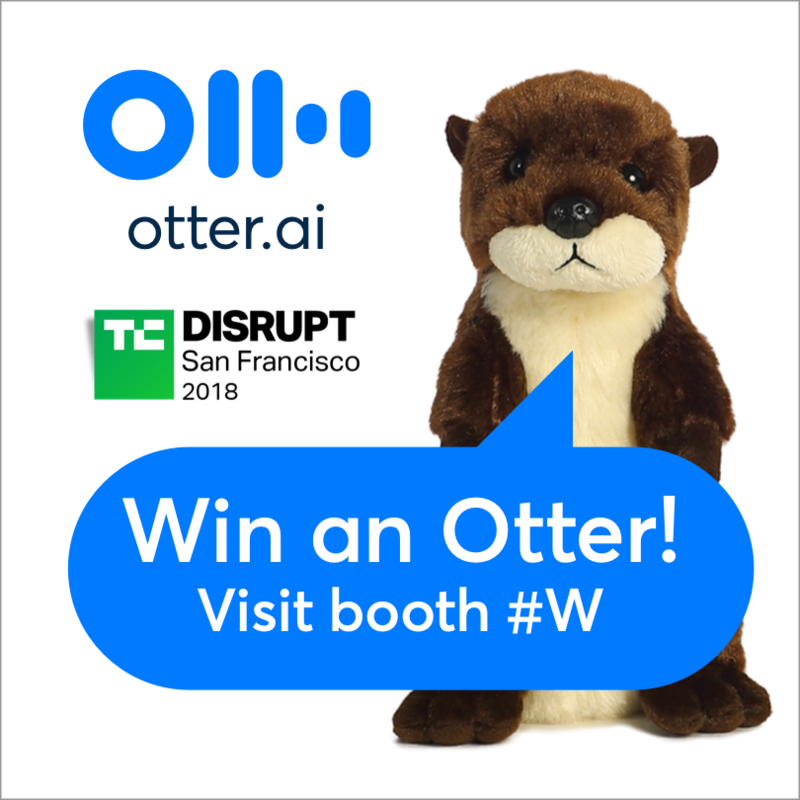 WHY USE OTTER FOR LIVE EVENTS? Remember, search and share valuable content without the burden of manual note taking and transcription. Watch live transcription on screens in the hall for the Main Stage and in the Otter mobile and web app. 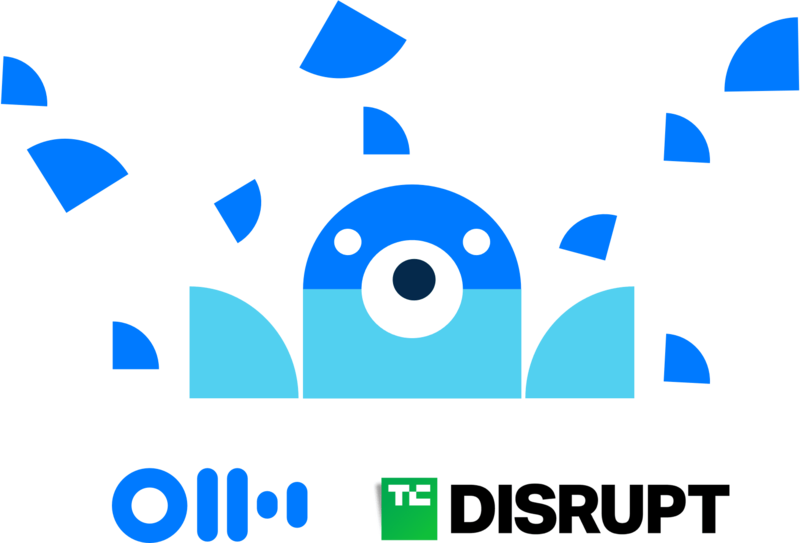 Join the TC Disrupt Public Group in Otter to access live transcripts of Main Stage presentations and an archive of searchable voice notes from all sessions. 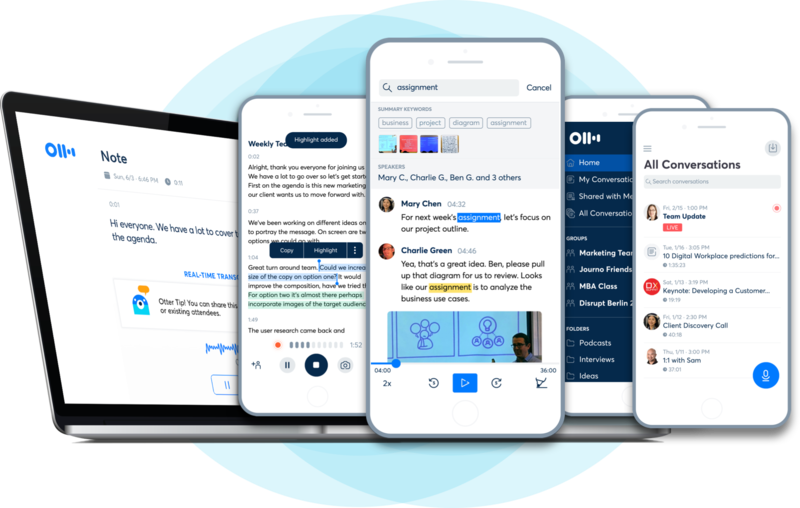 Search archived voice notes including key-words and full transcription with synchronized audio and images for all sessions—including those you couldn’t attend. 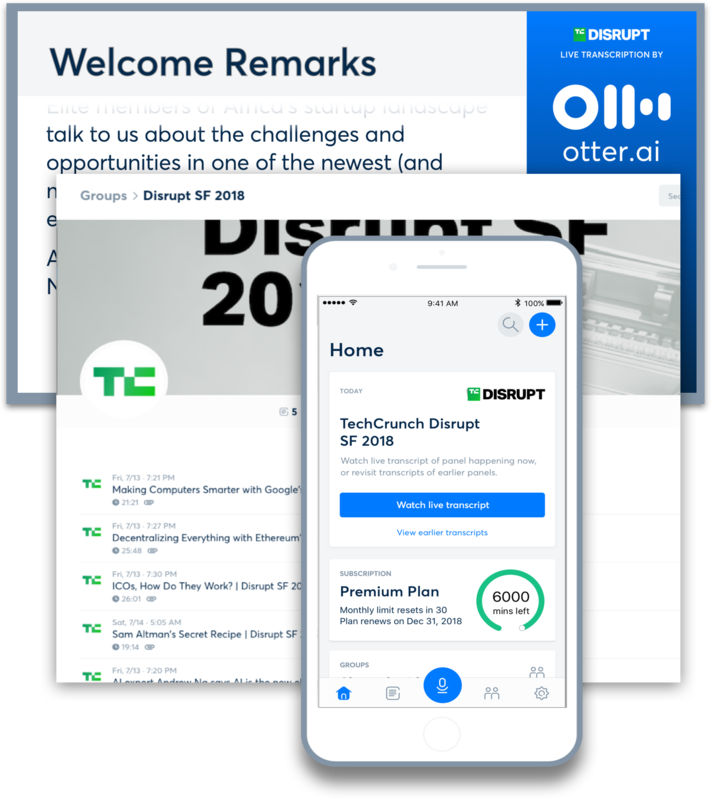 "Techcrunch Disrupt is the perfect venue to showcase the appeal of instantly transforming voice conversations into searchable content to foster better understanding and dramatically amplify the usefulness of the content beyond the live event."